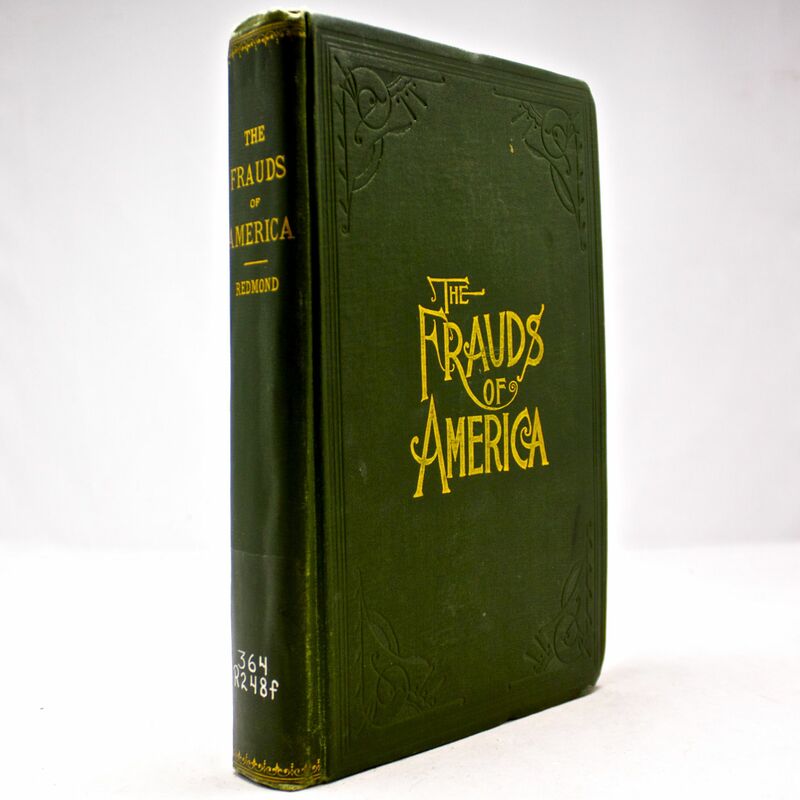 The Frauds of America: How They Work And How To Foil Them - IFA Vintage and Current Book Library - Index Fund Advisors, Inc.
Notes: Scarce Large Hardcover. Originally published in 1896, with the title page description: "the tricks and methods of work of all kinds of frauds, swindlers and dishonest men, fully exposed for the protection of the American public. "Amongst the wide variety of chapters are: America's Educated Criminal Class, Forgery as a Profession, Altering Bank Notes, Traps for the Unwary, Schemes to Entrap Dishonest Men, Sneak Thieves and Their Methods, Burglarizing Bank Safes and Vaults, Burglars and Their Mode of Work, Swindles Worked on Farmers, The "Next of Kin" Swindle, Fraudulent Advertisements, Pitfalls of a Great City, Bunco and Confidence Men, Panel Thieves and Blackmailers, Jewelry and Diamond Thieves, Shoplifters and Store Thieves, Hotel Thieves and Swindlers, Tricks of Pickpockets, All About Counterfeit Money, Methods of Dishonest Bookkeepers, Fraudulent Handwriting, Your Name in Danger, Postoffice and Mail Thieves, America's Army of Criminals, Hypnotism and Crime, Heads and Physical Characteristics, Bogus Patent Attorneys, Through Prison Walls, Shrewd Beggar Frauds, and Life's Curious Phases.